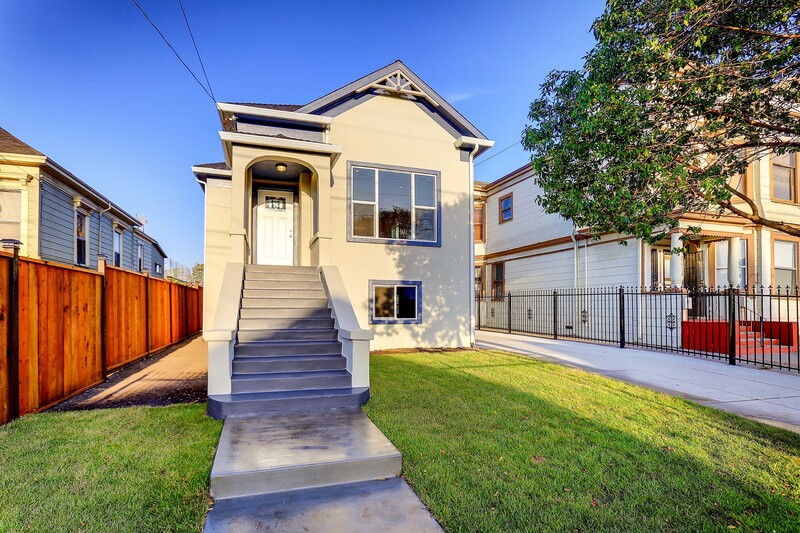 On a sunny Wednesday afternoon, a tidy four-bedroom home on Chestnut Street in West Oakland is a hive of activity on an otherwise quiet street. Workers are busy installing a concrete path out front, sweeping up construction dust from a newly installed kitchen, and putting the finishing touches on a wooden deck out back. In just a few weeks, the house will be ready for a new family to move in. The property looks nothing like it did when it was last up for sale just two years ago. At the time, it was owned by a family trust and had fallen into disrepair, making it completely unlivable. The frame had been burned at the center and the interior had been trashed. Real estate professional Eduardo Axtle saw potential in the home and bought it with plans to rehab and resell. Since then, Eduardo and his experienced team have invested time and money to bring the house back to life. Property investors like Eduardo who fix and flip homes usually buy properties that are in need of renovations. They then rehab the properties to make them attractive to buyers who want a move-in ready home rather than one that needs extensive work. The renovations add value, so the property investors are able to sell the homes at a profit. Fixing and flipping houses helps to rehabilitate older housing stock — as of 2013, over half of the housing inventory in the United States was more than 35 years old, while a Coldwell Banker study found that move-in conditions were very important to 81% of first time homebuyers and only 7% would consider moving into a fixer upper. When Eduardo bought the house on Oakland’s Chestnut Street, he knew that he and his team had a big job ahead of them. Eduardo is an experienced property investor and also has a deep knowledge of Oakland — he grew up in East Oakland and seems to understand every corner of the city. He loves that his job provides places for people to live and provides benefits to communities in his hometown by removing vacant or unlivable properties from neighborhoods. He imagined turning the home from a trash-strewn abandoned building into a place where a family could live. 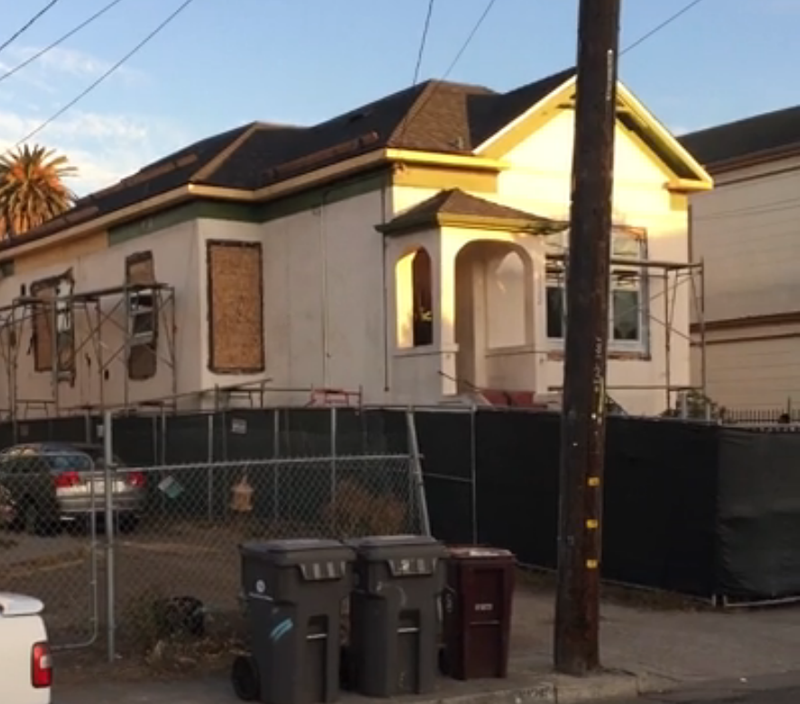 When Eduardo first bought the Chestnut Street house, it was abandoned and unlivable. Over the next two years, Eduardo was able to do just that. He started by removing 7 truckloads of trash. His team then had to complete a full reframing job, which Eduardo says will make the home last another 100 years. Finally, they were able to go about making the home attractive to buyers with amenities like a modern kitchen, a newly planted lawn, and molding throughout. All of their efforts paid off when the house sold even before the last touches were even finished. LendingHome provides short-term loans to Eduardo and other real estate investors rehab and resell homes. Eduardo often has several projects going at once, and financing his flips during the renovation process frees up money for him to purchase additional houses. Individual investors can add real-estate backed assets to their portfolios by purchasing a portion of a LendingHome loan. Investors receive interest throughout the term of the loan — usually one year or less — and get back their principal when the loan is paid back in full. Returns average more than 10% and all loans are backed by the underlying value of the real estate. Learn more about investing with LendingHome. We’re revolutionizing the world of mortgages to put the power, and the keys, where they belong — in the borrower’s hands.